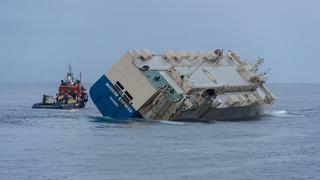 A final effort to tow the listing cargo ship Modern Express away from the French coast has been successful. 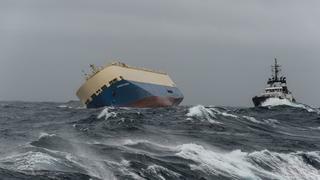 The stricken ship had been drifting towards South-West France for over a week, and if the Modern Express had run aground she could have polluted miles of coastline and caused serious damage to marine life. Four maritime experts were able to attach a tow line to the Modern Express before being evacuated by helicopter. The Spanish tug boat Centaurus was then able to turn the ship around and is now towing the listed ship to the Spanish port of Bilbao at about three knots. Environmental support teams are standing by as a precaution. The 164 metre Panama-registered Modern Express was transporting 3,600 tonnes of wood and construction machinery from Gabon to France when she ran into trouble on January 26. 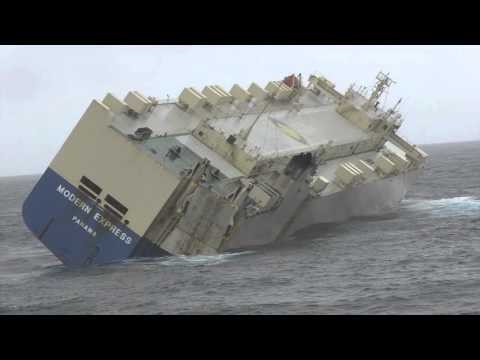 Maritime officials believe the cargo may have shifted in rough weather conditions, causing the ship to list over. 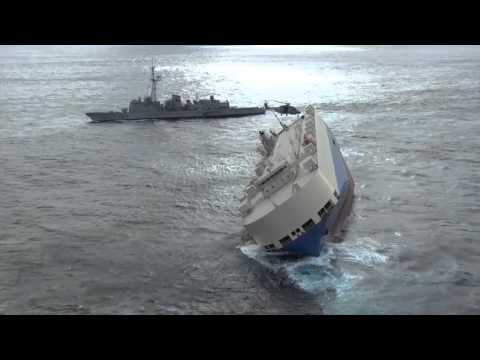 The French-based Atlantic Maritime Prefecture said it was “totally impossible to put the cargo ship upright”. 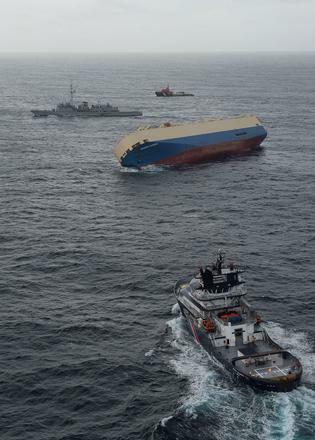 The cargo does not present an environmental hazard but the ship is holding 300 tonnes of diesel. Officials said the fuel is currently secure, but had rescue teams been unable to stop the ship from running aground then it could have been a different story. The 22 crew were airlifted from the Modern Express on Tuesday (January 26) but bad weather prevented several previous rescue efforts from being successful. Bad weather always brings an increased amount of danger for seafarers, but this does not stop there from being some amazing rescues at sea. In South Africa another rescue attempt has been unsuccessful because of bad weather. The upturned Sunsail catamaran that went missing with three crewmembers on board over a year ago has been lost again after it broke free of a tow.